Well, today has been a very difficult day. Mostly in my head though, not actually physically. I just had to work hard at defeating my inner voices a whole lot today. You know, the ones that say “what are you doing? Of course you cannot do blah blah blah, Just get on with doing what you have always done and forget about changing anything” Then you get a chilling ache around your heart area and you wonder if you can actually change anything. Regardless of all of this, I decided to make a few calls, speak to a few estate agents about some properties I am interested in, get ignored by some agents that seem not to want business. I also went to visit a house that we could potentially move into. I quite liked this one! Just have to get the price agreed on. In order to have a continually working business, cashflow is important so I am thinking of numerous ways to keep raising money to keep things ticking over until that big break :-). I have been trying to be creative about raising money to do more marketing, buy houses I have found that are at discounted prices etc. I thought I would share some of the ideas with you. Come up with some more if you can. Start up another internet based business to fund my non-internet based business. It is feasible but what would my product be? And how much less sleep do I want? 😀 – A possibility. Speak to anyone and everyone I know about the deals I am generating and see if anyone one else wants to start a property portfolio and is willing to pay a finder’s fee. Must get networking! Do some guesswork and buy some shares and hope for them to mysteriously multiply a hundred times in value. It could happen:??? :… but maybe more education needed before doing that. I could busk in the city centre on a really busy day – probably not cost or time effective. If the babies did some dancing, would we get some pity money? Do a sponsored walk (as I truly cannot run!) but not sure people want to sponsor my desire to be rich. It’s not enough to be a woman who wants more of life, you have to be a woman who is willing to go out and take it. Hi Nonny, it’s me again. I am really enjoying your blog. You should check out American Writers & Artists. You can click the link on the “About Me” page on my website http://www.internetresearchlogistics.com for more details. 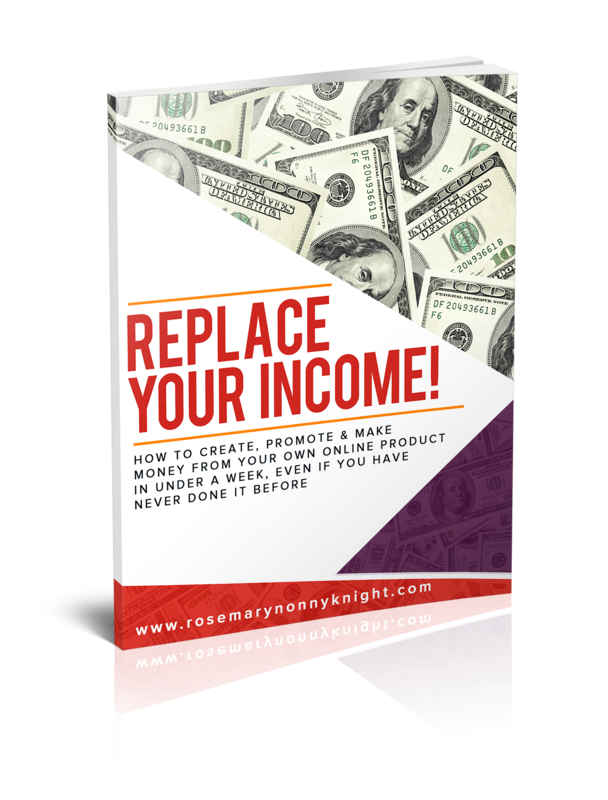 I really think you will find a solution to your question about how to make more money from home. I can identify with wanting to be at home with your babies. I was at home full time when my children were small. That was in the eighties and early nineties. Unfortunatel there was no internet then. True, the internet does definitely provide a few more options to women. Thanks.